Ray Pelosi my son is wearing the costume. I am the mom of 3 boys and baseball/basketball/football cards have taken over my house! It was only fitting when the suggestion of being a "card" came up. 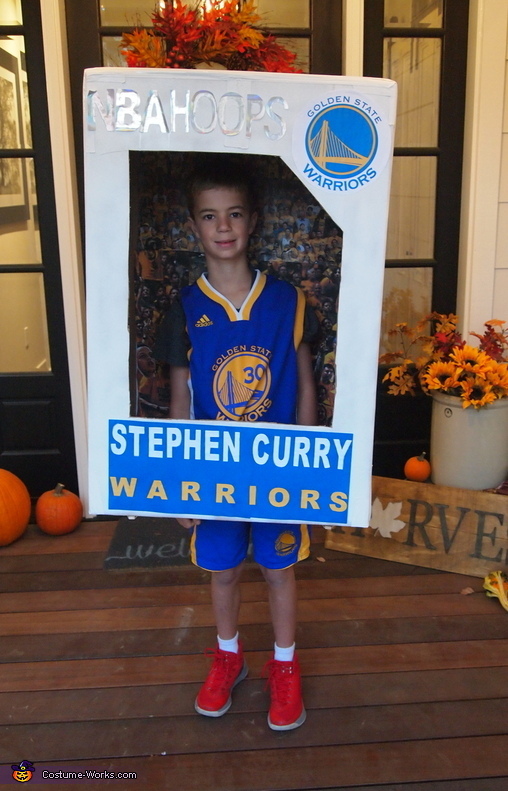 My son Ray loves Stephen Curry so we made the card come to life! Items needed: favorite sports card, large box, spray paint, printer, scissors, glue, elastic for the straps and a run to Staples to scan and print the back of the card.